UPDATE on June 18th, 2018: These bands are now out and available for purchase online. Links for purchase are below. 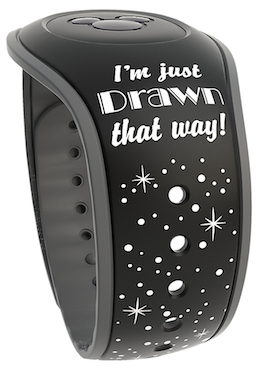 According to My Disney Shop of Facebook, three new MagicBands are due out next week officially, and they’ve posted some pictures of the actual bands. 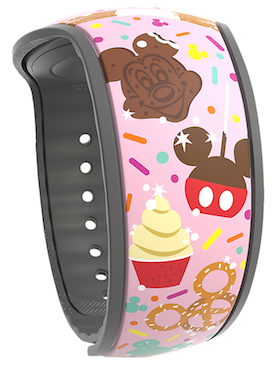 The three bands are a Jessica Rabbit Limited Release on black, a Mulan Open Edition band on what appears to be a millennial or light pink color (possibly to celebrate Mulan’s 20th anniversary in theaters on June 19th), and the Treats Open Edition band I posted about earlier. 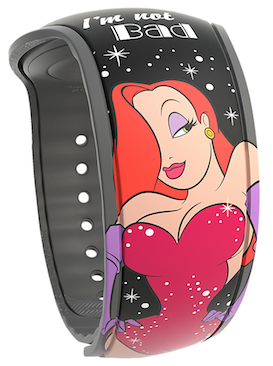 The Jessica Rabbit band has appeared on eBay, so it is available somewhere in the resorts, and the Treats band which I posted about yesterday was also available yesterday at Epcot. These will be available resort-wide very shortly though. 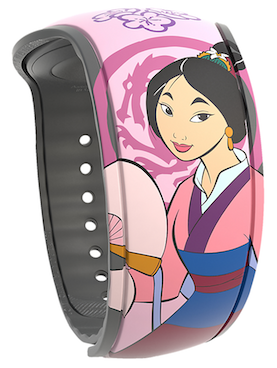 6 Responses to "UPDATE: Three new MagicBands out now, including Jessica Rabbit and Mulan"
I have a question are they only selling the jessica rabbit bands in the park? It will eventually be available online soon too. 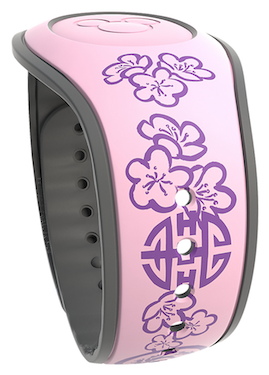 Do you know if it will be available at shopdisney.com or the disney parks shop app? 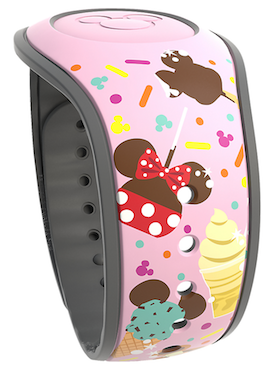 All of these MagicBands are available today on ShopDisney.com and the Shop Disney Parks app.